Like being in the center of attention? So do we! 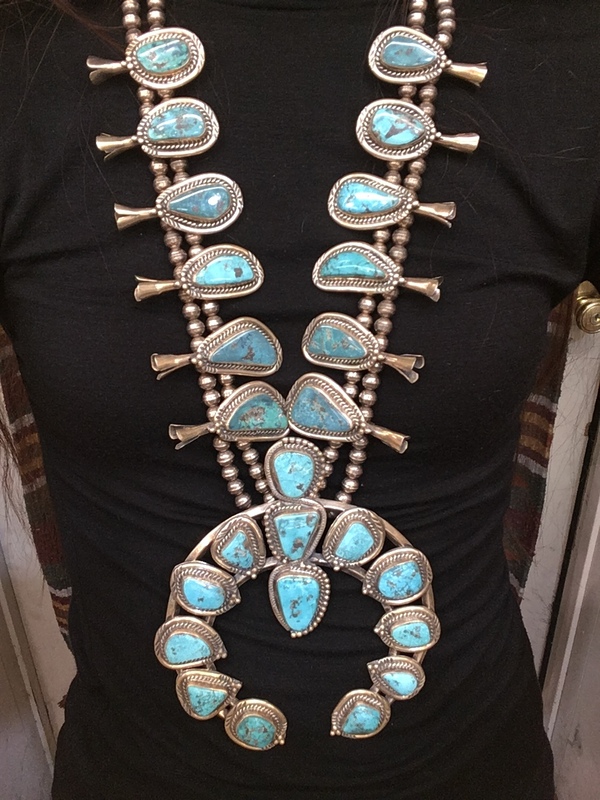 This is the biggest squash blossom we’ve seen in a while with a whopping 26 pieces of Turquoise. 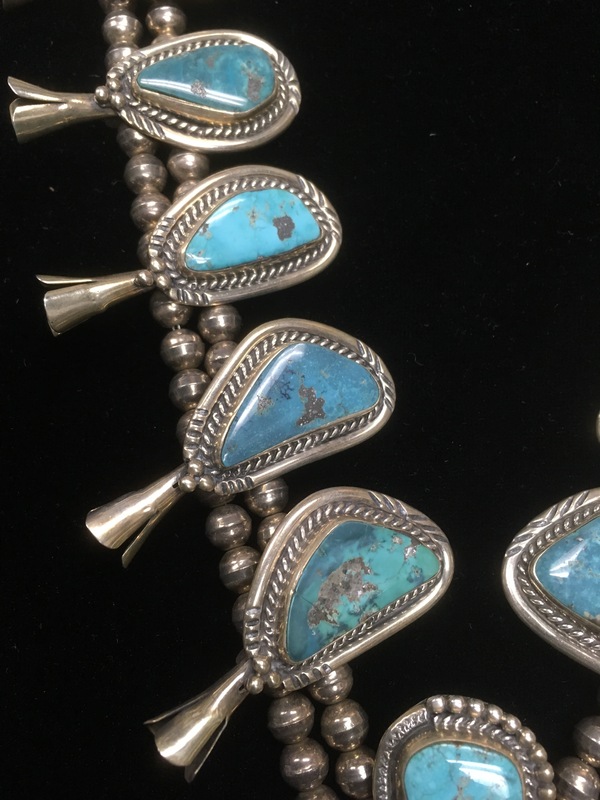 The Sterling Silver is kept minimal and classic to make the Turquoise the star of the show. 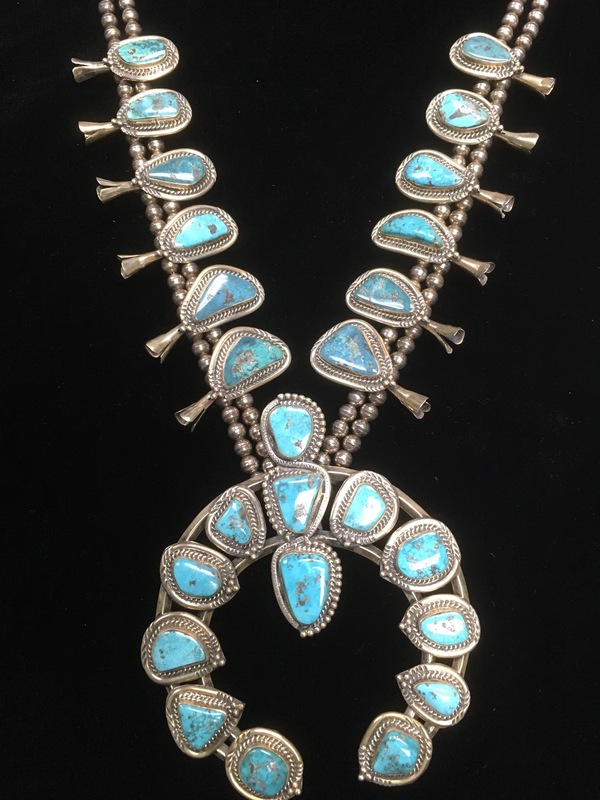 Navajo Artist Turquoise Squash Blossom features the biggest Sterling Silver and Turquoise Native American Navajo squash blossom we have in stock!